We have been busy little elves the past few weeks installing Christmas lights around Kalamazoo. And thankfully, the weather over the past few weeks has been cooperative so we can make all those houses glow with the Christmas spirit! 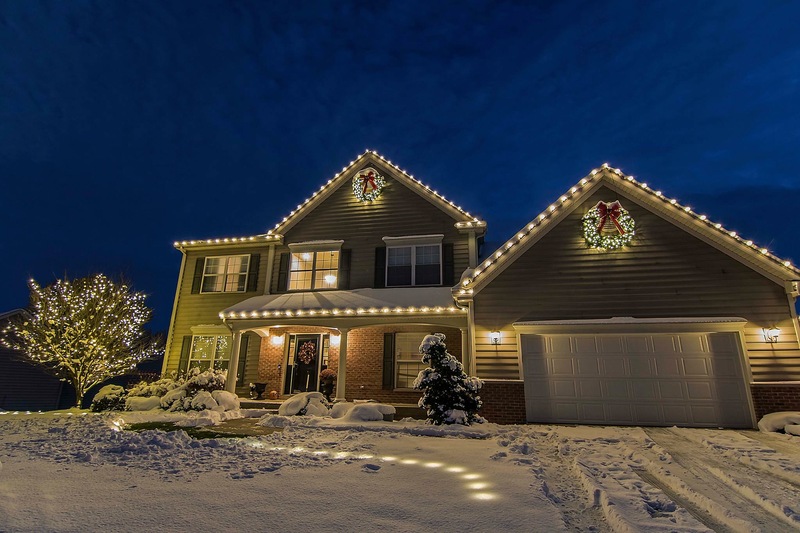 Here is a highlight of one of our recent holiday lighting projects in Kalamazoo. 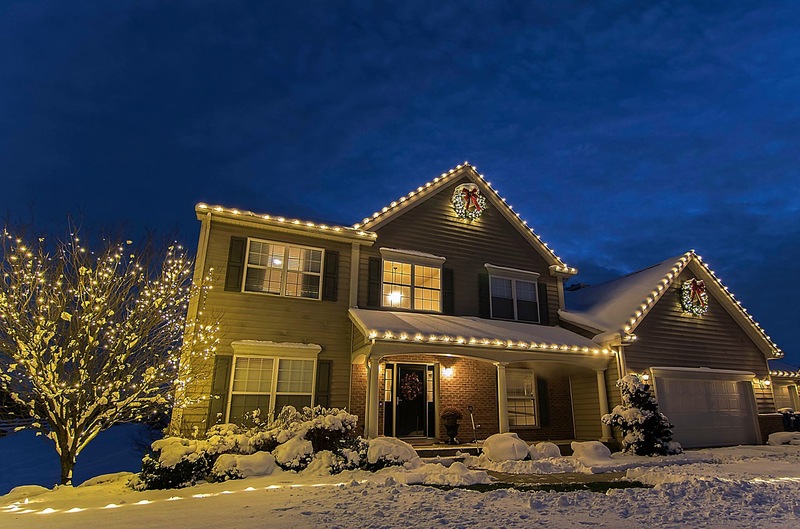 They were referred by their neighbors, who had Christmas lights installed by us as well. They were looking for a complete service, a company to install the lights, take them down, store them, and take care of any problems during the season. They also thought the Christmas lights looked pretty darn sweet too! The roof lines, of course, those are number one to most people. And this house had some great roof lines to highlight. The homeowners were looking for a simplistic style that would still stand out. They decided on the warm white Christmas lights for all their decoration components to remain consistent and elegant. Along with the roof lines, they wanted to highlight an ornamental tree, and ground lighting to compliment their walkway. After choosing what to decorate and what color, there was something missing. Ah, yes, greenery. They chose to add two beautiful wreaths, one above the garage and the other on the main gable over the entryway. Price was also important to these homeowners, so we made sure to keep it within their budget, the total renewal came in around $1200.